Last month, Dr. Sung-Hoon Hong, Vice President of Samsung Electronics, announced at the Virtual Reality Summit in San Diego that Samsung would be moving into the augmented reality market. According to a recently published patent application, that move has begun. Trying to sort through the language in a 29-page patent application like this is a major headache-inducing nightmare, since patent lawyers try to be as vague as they can possibly be so it can be applied more broadly down the road. For instance, here is the description for the image below: "FIG. 15 illustrates a method for outputting an object provided in a specific area by an electronic device according to various embodiments of the present disclosure." 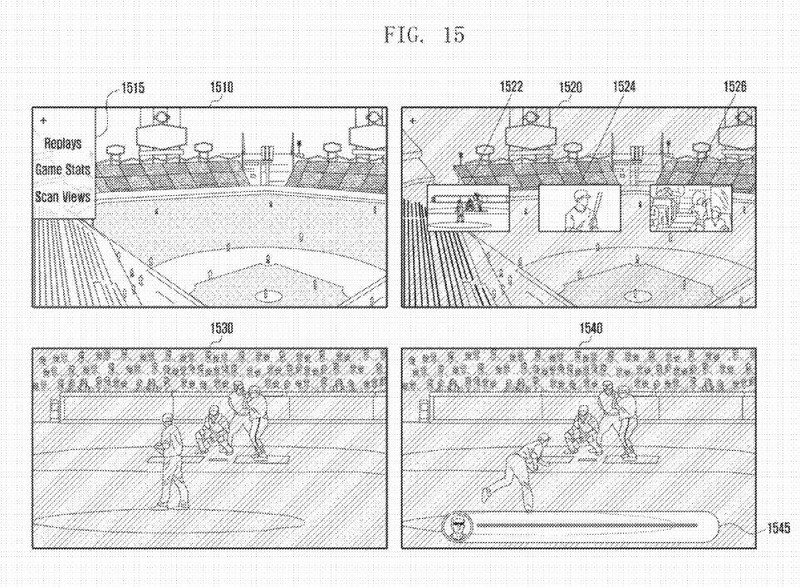 Digging a bit deeper, I was able to make out that the picture is demonstrating what watching a live baseball game would be like using their proposed technology. It appears to overlay elements like instant replays and game stats. These are all elements we AR developers have come to expect from our augmented reality future. Not much of a surprise. But one thing the image implies is being able to switch to VR mode and watch the game from a different perspective. And while I am not completely sure that the imaging is representing that idea, when I started reading more about this illustration, it started describing the ability in real time to switch from 0% to 100% transparency to switch from VR to AR mode. My guess is that Samsung is probably a lot farther along with this than they have let on, since this patent application was filed July 6, 2016, and we only heard about their interest a month ago. Samsung—being one of the primary driving forces of the current VR uprising—is definitely a company I see as having the potential to help drive the interest in AR to a mainstream market. What do you think about Samsung's take on a VR/AR device? Am I the only one that has taped thick cloth to my HoloLens to see how it would work as an untethered VR device? Let us know in the comments below.